Short-term goals are ones that a person will achieve in the near future, typically in less than one year. Short-term goals are often, but not always, steppingstones on the way to meeting long-term goals. 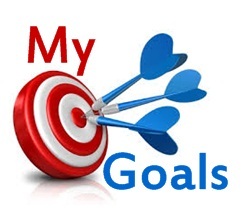 These types of stepping stone goals are considered enabling goals because accomplishment of these goals will “enable” a person to achieve an even greater goal. Enabling goals usually consist of such topics as education, short-term jobs, as well as valuable work experience. Each of these often contributes directly to the long-term goals a person sets for himself or herself. Lifetime goals often are our most meaningful and important goals. One problem, however, is that the achievement of these goals is usually far in the future. As a result, we often have trouble staying focused and maintaining a positive attitude toward reaching these goals. This is why it is helpful to set up enabling goals. An enabling goal is a distinctive type of shorter-term goal. It is written to help achieve a longer-term goal. Enabling goals are like stepping stones that help us measure our progress toward reaching longer-term goals. They can be considered “objectives” of long term goals. 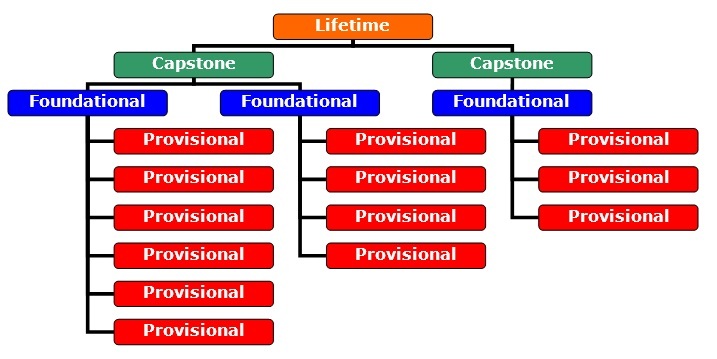 Capstone goals are commonly those key goals you will need to accomplish first before you accomplish your lifetime goals. These goals will typically be accomplished in one to ten years time. A lifetime goal of becoming a doctor would have Capstone goals of going to college, going to med school, and completing an internship. A lifetime goal of traveling around the world would have a Capstone goal of saving a certain amount of money.